On the 3rd (Thu), take in the architecture and atmosphere at Basilica del Santisimo Sacramento and then stop by Calle Florida. 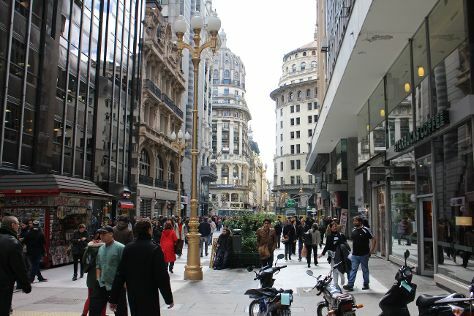 To see traveler tips, ratings, reviews, and other tourist information, read our Buenos Aires trip itinerary app . Newark, USA to Buenos Aires is an approximately 17.5-hour flight. The time zone difference moving from Eastern Standard Time to Argentine Time is 2 hours. Expect a bit cooler weather when traveling from Newark in May: highs in Buenos Aires hover around 64°F, while lows dip to 55°F. On the 3rd (Thu), wrap the sightseeing up by early afternoon so you can travel to San Martin de los Andes. Start off your visit on the 4th (Fri): stop by Lanas argentinas de norte a sur, stop by Paseo de Compras Del Maiten, then enjoy the sand and surf at Playa Quila Quina, then pause for some serene contemplation at Iglesia San Jose, and finally stop by De la Montana. Here are some ideas for day two: stop by Paez Store and then look for all kinds of wild species at Sendero al Mirador Bandurrias. For reviews, ratings, photos, and more tourist information, read our San Martin de los Andes trip planner . Fly from Buenos Aires to San Martin de los Andes in 4.5 hours. Alternatively, you can do a combination of flight and bus; or drive. Prepare for slightly colder weather when traveling from Buenos Aires in May: high temperatures in San Martin de los Andes hover around 46°F and lows are around 46°F. 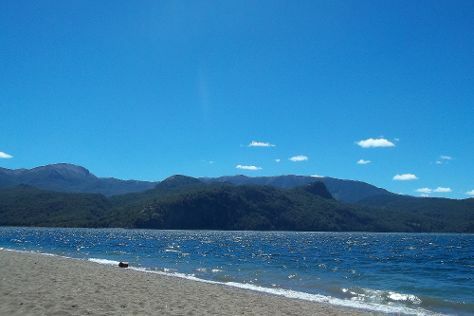 Cap off your sightseeing on the 5th (Sat) early enough to catcht the bus to San Carlos de Bariloche. Start off your visit on the 6th (Sun): examine the collection at Museo del Lago Gutierrez, then look for all kinds of wild species at Puerto Blest y Cascada de los Cantaro, and then stop by Chocolate del Turista. Keep things going the next day: see the interesting displays at Monumento Historico Municipal Capilla La Inmaculada, then look for gifts at TiendaCiervo patagonia, then get interesting insight from Tours, and finally stop by Evo Sports. 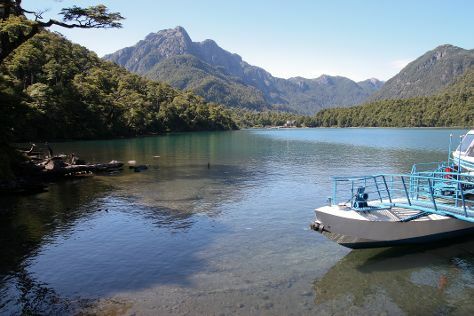 For other places to visit and more tourist information, go to the San Carlos de Bariloche travel route planner . You can take a bus from San Martin de los Andes to San Carlos de Bariloche in 2.5 hours. Alternatively, you can drive. Traveling from San Martin de los Andes in May, plan for slightly colder nights in San Carlos de Bariloche, with lows around 35°F. Wrap up your sightseeing on the 7th (Mon) to allow time to travel back home.